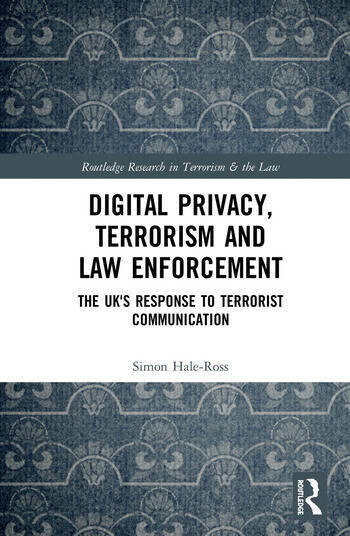 This book examines the UK’s response to terrorist communication. Its principle question asks, has individual privacy and collective security been successfully managed and balanced? The author begins by assessing several technologically-based problems facing British law enforcement agencies, including use of the Internet; the existence of ‘darknet’; untraceable Internet telephone calls and messages; smart encrypted device direct messaging applications; and commercially available encryption software. These problems are then related to the traceability and typecasting of potential terrorists, showing that law enforcement agencies are searching for needles in the ever-expanding haystacks. To this end, the book examines the bulk powers of digital surveillance introduced by the Investigatory Powers Act 2016. The book then moves on to assess whether these new powers and the new legislative safeguards introduced are compatible with international human rights standards. The author creates a ‘digital rights criterion’ from which to challenge the bulk surveillance powers against human rights norms. Lord Carlile of Berriew CBE QC in recommending this book notes this particular legal advancement, commenting that rightly so the author concludes the UK has fairly balanced individual privacy with collective security. Simon Hale-Ross is a Lecturer in Law at Leeds Law School, Leeds Beckett University, UK.